Barely a field separates Little Massingham from Great Massingham, and it would take no great effort to walk from the church of one to the church of the other, although the traffic on the main road might put you off a little. 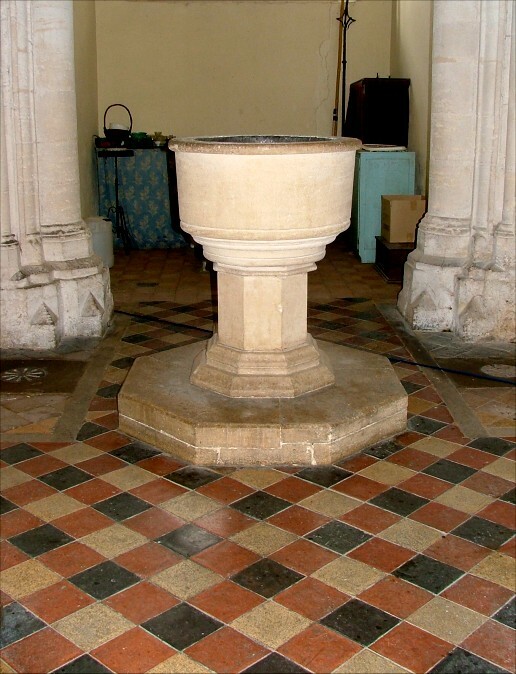 To all intents and purposes the two parishes form a single village. 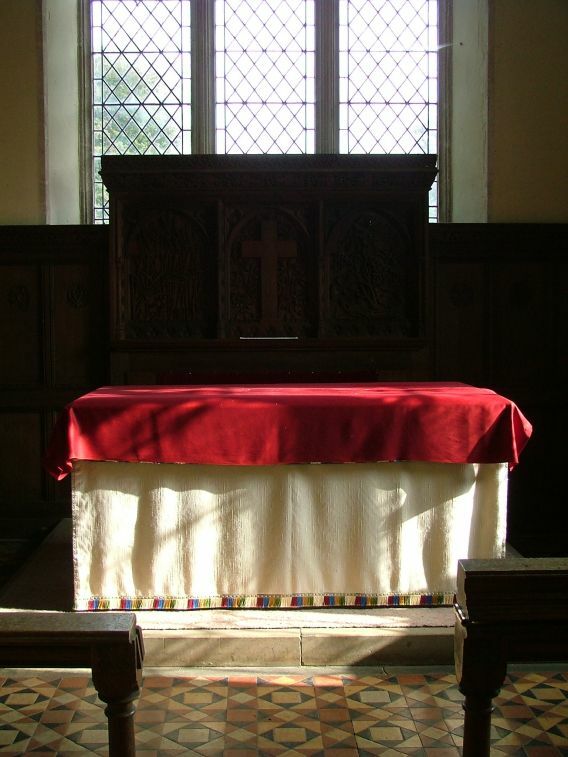 But, as befits the parish names, Great Massingham church is grand and bold on the high street, while St Andrew is more secretive, set on a quiet lane in a pleasant graveyard. 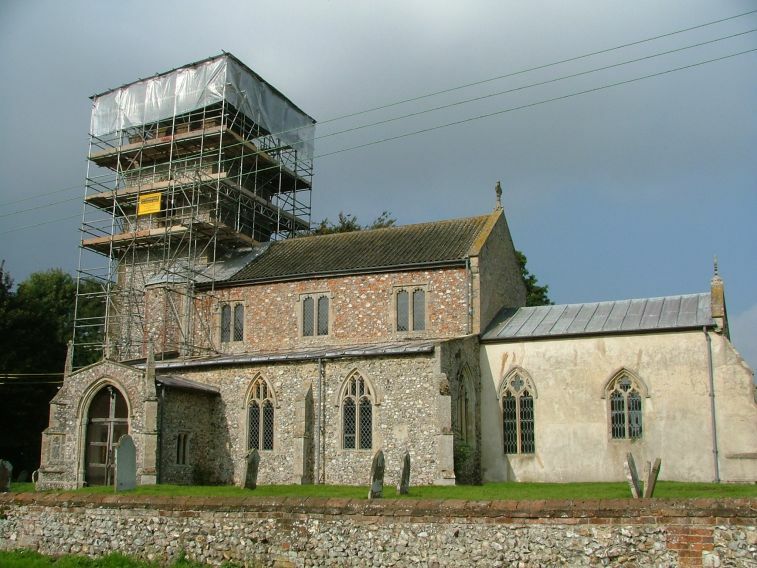 On this day in October 2006, the tower was covered in scaffolding, but the church was still open, and Peter Stephens has kindly contributed the scaffoldingless image at the top of this page. 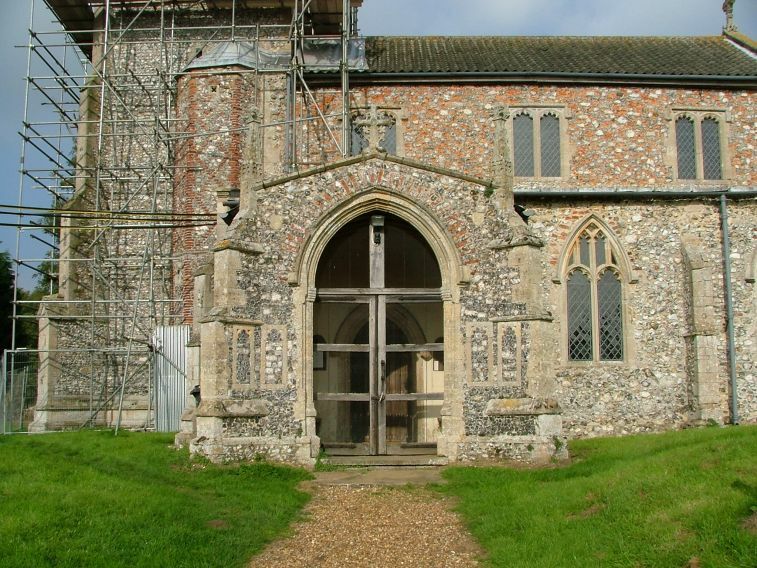 Although St Andrew is small, it is perfectly formed, with the tower, aisles, porch, clerestory and chancel that you would expect of a much larger East Anglian church. 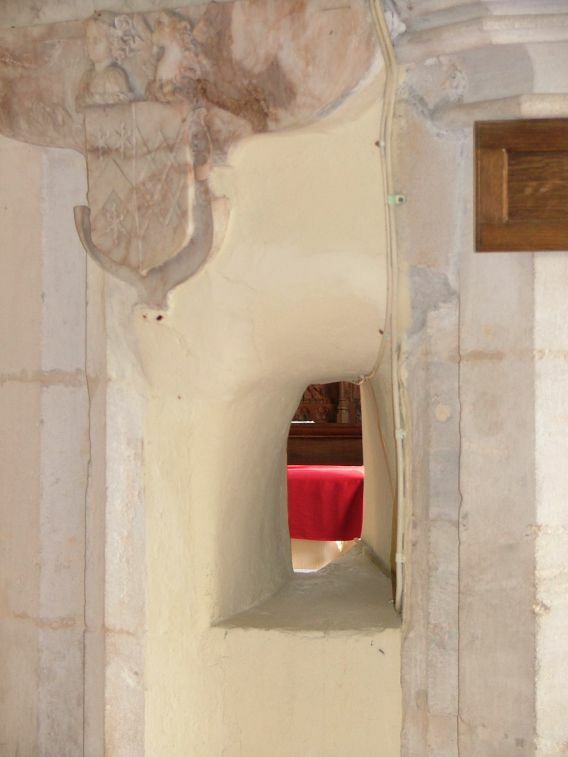 This is because much was done here in the 15th century, and much was done in the 19th century as well. 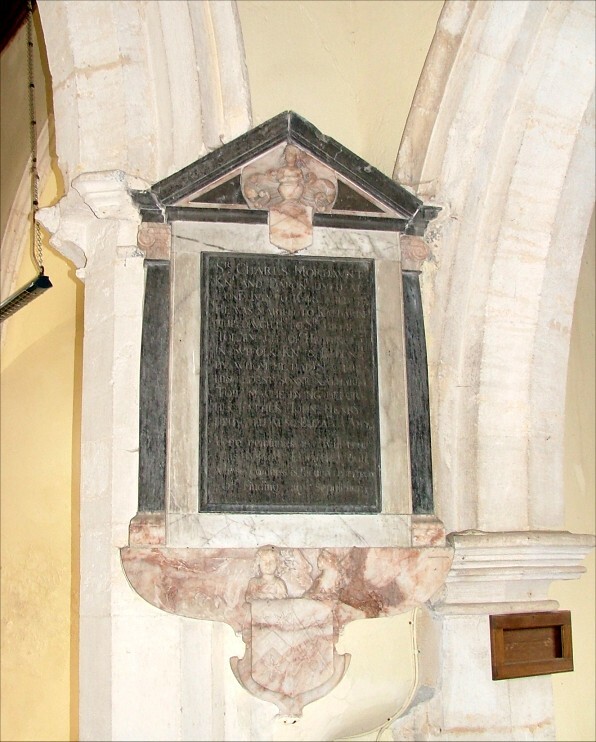 The restorer here was the maverick Thomas Jekyll, whose most prominent Norfolk work is a few miles off at Holt Methodist church. 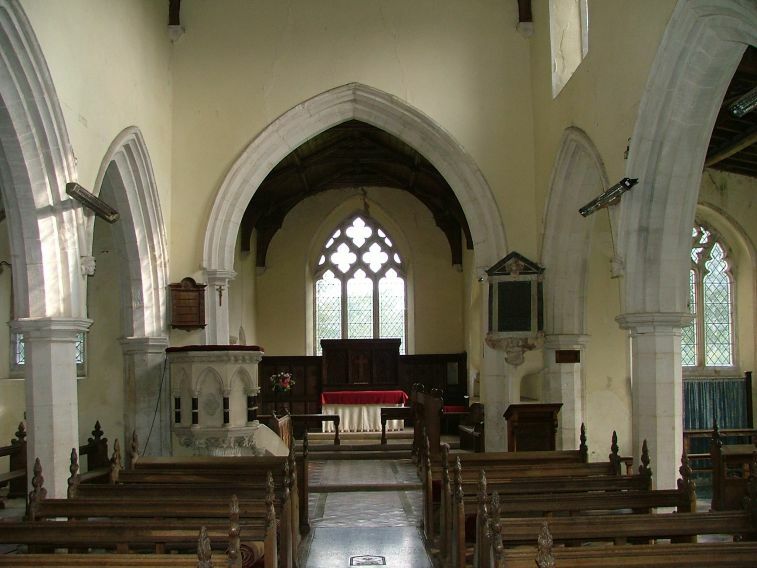 Despite the restoration, there is a rustic feel to the interior, quite unlike the more urban ambience of neighbouring Great Massingham. This feels like a village church. 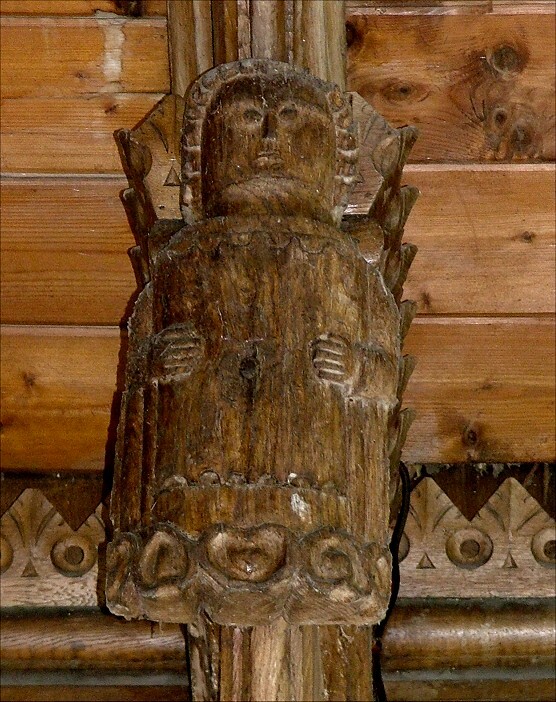 There are some imposing 17th and 18th century memorials, a pretty piscina with a double opening, and what appear to be the remains of angels in the chancel roof. 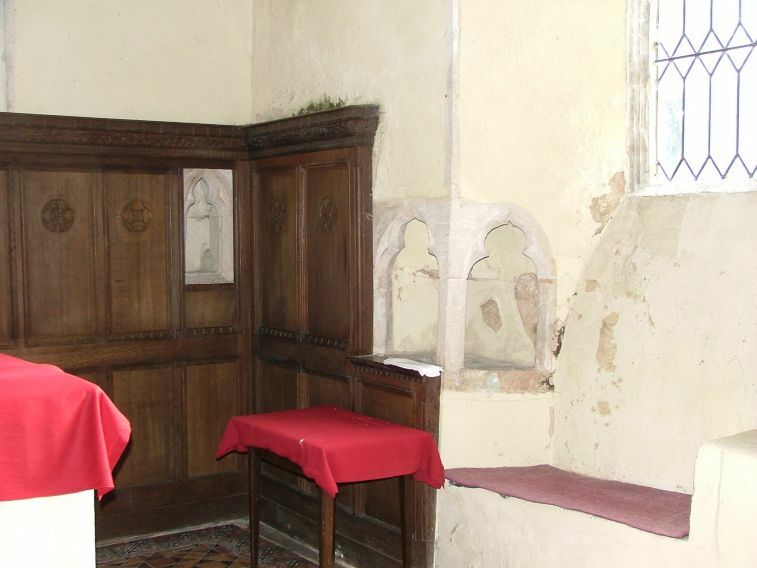 There is a squint from the south aisle to the chancel. But most notable of all are two features put in by Thomas Jekyll. Don't miss the tiles in the sanctuary. 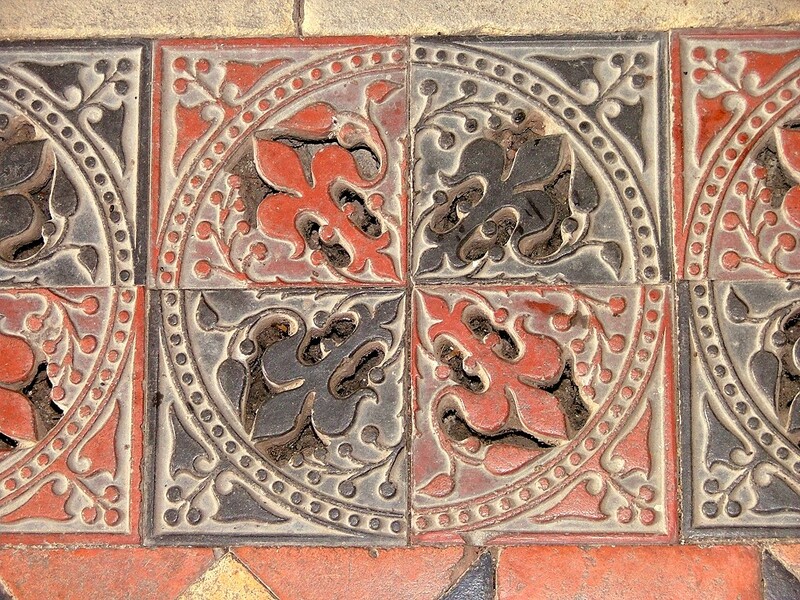 What appears at first to be a wrought-iron heating grill is in fact a succession of exquisitely-formed terracotta tiles in red and black, fleur-de-lys and flowers in cut out relief forming the vents. 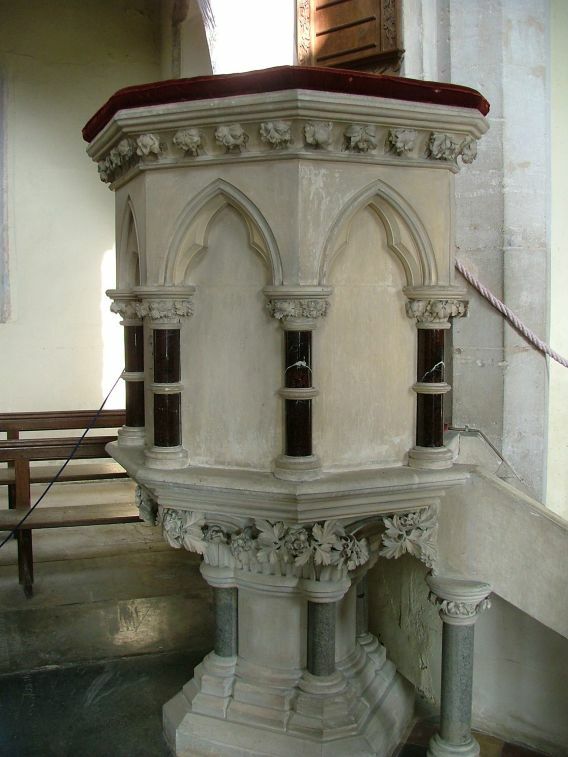 And then there is Jekyll's pulpit, quite out of character in this humble little place, a marble and stone extravaganza that gloats in the corner of the nave like a bully. 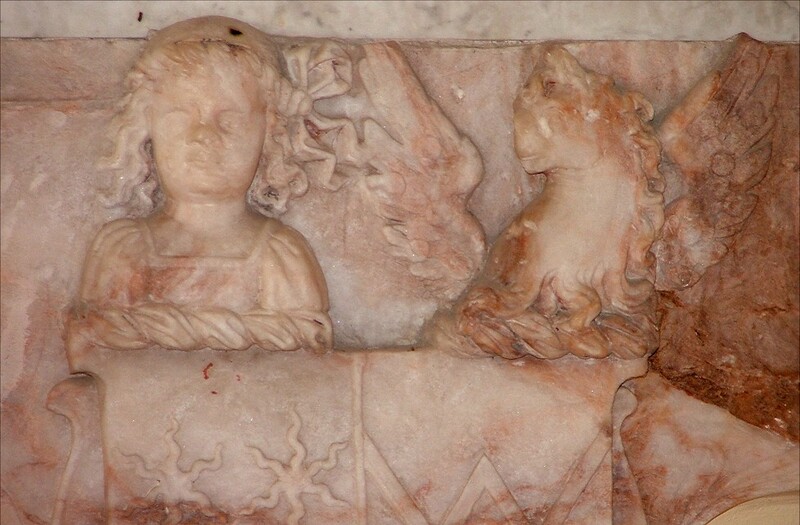 But look closer; there are beautiful ball flower reliefs carved in the steps and above and below the marble-tiered panels. 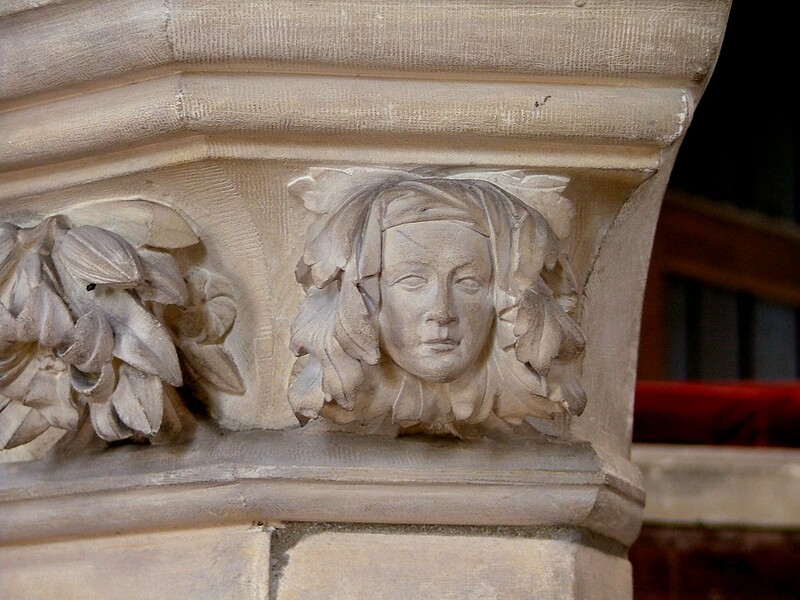 And, most delightful of all, the most easterly ball flower is actually a carved human head, almost certainly a portrait of Thomas Jekyll himself.